I use NXT Tech wax, it works great! It depends on what condition your paint is in. 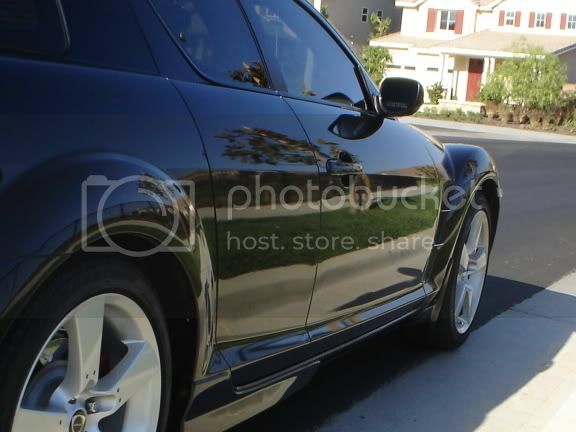 Since you have a black 8 i would look into using Meguiar's scratch X 2.0 or swirl X before you use NXT tech wax. NXT is a good synthetic wax. Then just maintain with Quick or speed detailer's. This is what I do and the car looks perfect. Meguiar's NXT Tech II myself, but of course it's a synthetic. In the current "pollen season" I also use detailing spray almost daily. By best wax if you mean natural then a high-Carnauba content such as Griot's Garage Best of Show. btw: there's no such thing as 100% Carnauba, as it would be as solid as a brick. Last edited by altspace; 06-03-2009 at 04:32 PM. Oh to have Altspace's 12 foot (yes foot) daily commute, and therefore no rock chips! There is no 100% Carnauba Josh; that's just marketing BS. Again, if it were 100%, it'd be a rock hard lump of wax. like jedi54 said. ZAINO!! best stuff to use on your paint. Well, my new MS bumper only has a couple tiny chips. As for my old bumper, it is a 2004 with 51K miles and has some serious wear when you look up close or even in overcast light. also give zymol a shot. I've been a die hard Zaino fan forever... but I think I might be switching to Prima soon. Check 'em out. That's the NAME of the product. 100% While it doesn't say what % in total, the packaging does explain the wax they use is 100% carnauba flakes, mixed with other 'stuff' to make it workable. I refer to it as P21S 100% Carnauba wax as well, only cos it's the name of the product itself. Last edited by borgkingkong; 06-05-2009 at 01:32 AM. zymol concours is the best!! Oh wait. Darn it. Where is that beverage server? You should take a look at World's Best Wax, they have very high quality wax with 36% and 46% of carnauba wax and natural oils, and a new wax is in the works with close to 90% or carnauba. this wax will not leave white residue on plastic trim. actually i use a bit of this wax on the plastic trim as well. I'm not even sure if I prefer paste or liquid. All I know and remember out of all the brands I've used before I didn't like armor all brand at all, and preferred poorboys, mcguires and mothers. I use nufinish paste on my old car. lol. Zaino system for dark paint. I recently tried HD Poxy as well, and I like it, but it does have some fillers in it and you can't layer it like KSG, so I'm going back to KSG pretty soon as it has the best durability on the planet and can be used on anything, plastic, glass, paint, etc. I'd highly recommend KSG as a sealant for any car color for the added durability, then you can top it with a carnauba to get that extra pop. I'm no longer as big a fan of carnauba waxes because I CAN'T STAND dust, and sealants attract A LOT less of it. Collinite was my first go-to wax. Really is some good stuff, and it is one of the best waxes I have machined on. Last edited by paimon.soror; 02-07-2012 at 06:11 AM. Quick Reply: Best type of wax?